February is National Mentoring Month. In honor of that, Lincoln TeamMates held their 10th Annual Recognition Event Thursday night. 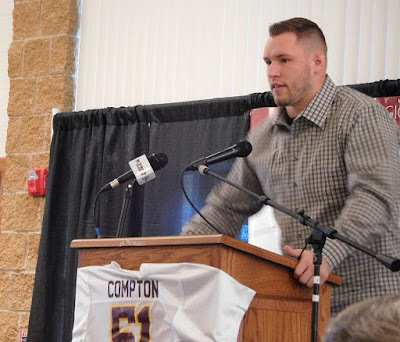 It featured dinner, an awards ceremony and a speech from former Husker and current Washington Redskins linebacker Will Compton. The goal is to recognize and highlight the achievements of TeamMates mentors and the kids they take under their wings. Teammates program, which helps students find an adult to look up to. The TeamMates program finds mentors for LPS students, so they have an adult in their lives to help them solve life's problems and celebrate successes. TeamMates coordinator Walter Powell said mentors and students deserve recognition. The kids aren't the only ones who enjoy the benefits of the program. Mentors say they get something out of it too.